Matrix metalloproteinases (MMPs), a family of proteinases including collagenases, gelatinases, stromelysins, matrilysins, and membrane-type MMPs, affect the breakdown and turnover of extracellular matrix (ECM). Moreover, they are major physiologic determinants of ECM degradation and turnover in the glomerulus. Renal hypertrophy and abnormal ECM deposition are hallmarks of diabetic nephropathy (DN), suggesting that altered MMP expression or activation contributes to renal injury in DN. Herein, we review and summarize recent information supporting a role for MMPs in the pathogenesis of DN. 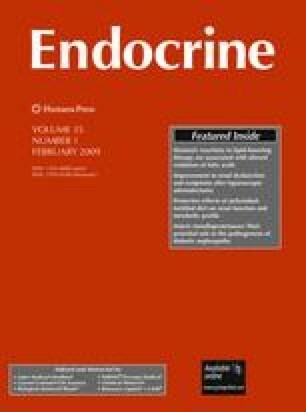 Specifically, studies describing dysregulated activity of MMPs and/or their tissue inhibitors in various experimental models of diabetes, including animal models of type 1 or type 2 diabetes, clinical investigations of human type 1 or type 2 diabetes, and kidney cell culture studies are reviewed. This work was supported in part by grants from the National Institutes of Health to KMT (R01-DK62999) and from the Arkansas Children’s Hospital Research Institute CUMG Award Program to KMT (#036054).